Enough blabbering though, please welcome the nails of the week. 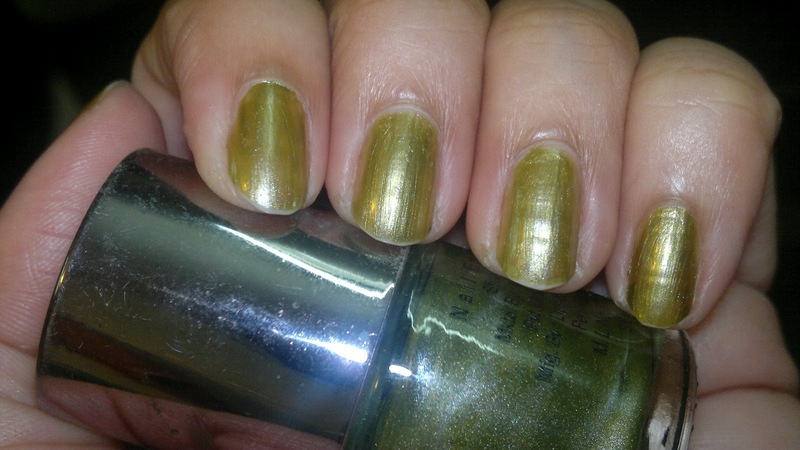 This week I am ahowing you all a nail paint from Nail Juice in #48 (also shown HERE). The formula is on the thinner side, and the pigmentation is ok. The nai paint is more of a shimmery nail paint and below are two coats on my nails which were good for opaque coverage. Price: INR 80 for 9.6 ml of the product. Packaged in a round cute bottle. Actually the packaging was what prompted me to buy this nail paint. 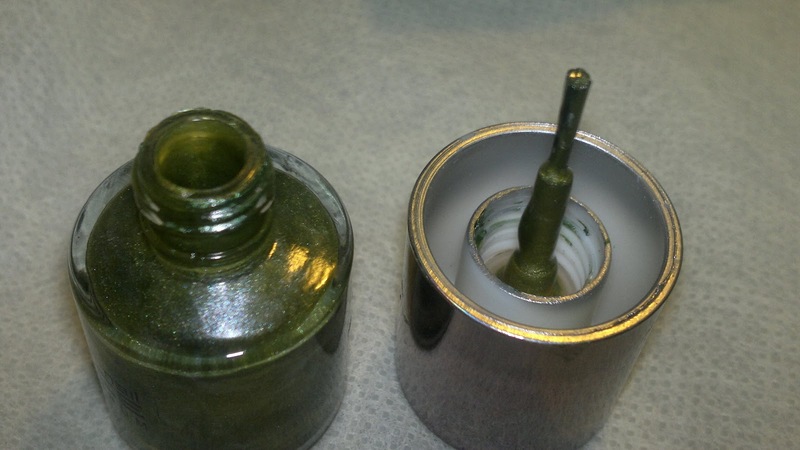 My only problem was the brush, though the bottles are round and cute, the brush is actually very small and the big cap blurs your vision, and I had to be extra careful for applying this nail paint. On the brighter side, the nail paint dried pretty fast, two-three minutes between coats. The picture of the nails was taken after two days of application, and I could see a little tip wear only, no major / minor chipping was there. 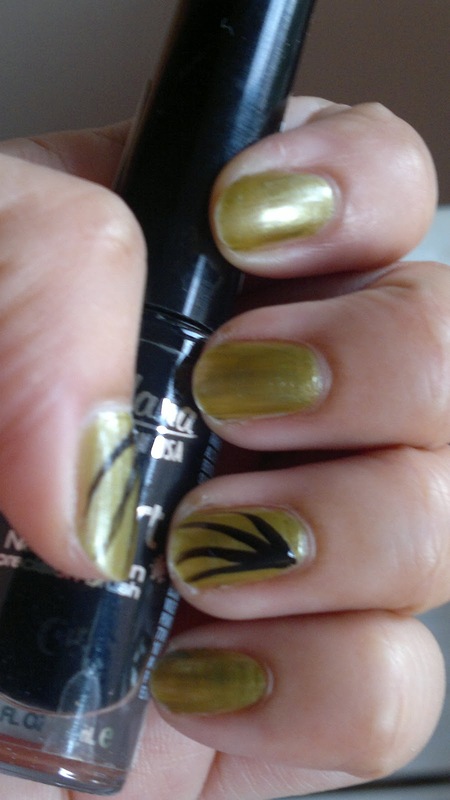 Here is a nail art I tried on my thumb and ring finger. 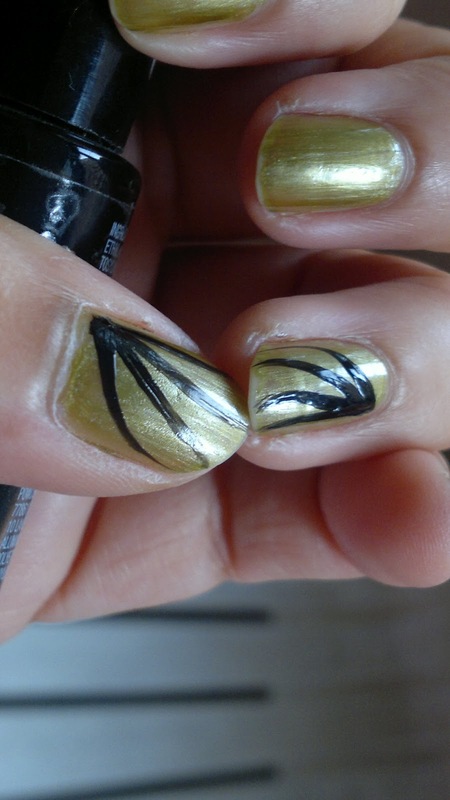 Using my Jordana Nail Art paint, I painted thin curved lines originating at the base of the nail. The ring finger actually looks pretty awesome to me. Do let me know your comments below. P.S. Just got to know that I have won the Lipgloss Affairs Giveaway (read HERE), which is a Jabong voucher worth INR 500. I am super excited and so thankful to both Sangeetha and Jabong for giving me this opportunity. Since last time, Jabong has added so many designs that I am so spoilt for choice and am having a tough time in deciding what to purchase, so many things... Will update you guys once I shop from them and receive my order. The trend of online shoping can be observed as the fastest growing business online shopping pakistan of the world. To start speeding up online shop business in Pakistan, we should recognize online shop activity takes place in the USA that is almost 78 per cent. As the January 2000, over 110 million people have internet access there compared to 279 million the world over.